Pontiac Service and Repair - Orinda Motors Inc.
Pontiac is well-known for muscle cars and powerful engines. Pontiac is a revered American brand that is distinguished by high performers such as the GTO—a model so famous for performance that a song was written in its honor. If you own a Pontiac and live in the SF East Bay region, you can count on Orinda Motors for high-quality Pontiac auto repair and service. When you own a high-performance automobile like a Pontiac, you need high-performance service to maintain it well. Don’t settle for anything less than the best auto mechanics when it comes to caring for your Pontiac. Our auto repair shop offers high-quality service to Pontiacs and their owners alike. The ASE-Certified technicians at Orinda Motors are equipped with the skill and experience to address all your Pontiac’s needs, from routine service to major repairs. “The problem was explained very well, and they were able to service my car on that same day.” -- Sandy B. 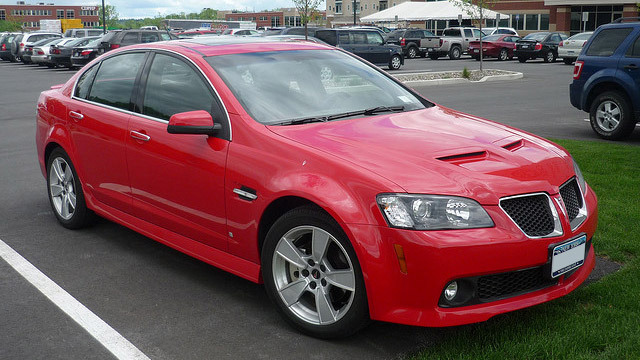 From the Pontiac Bonneville to the Pontiac Firebird, the Pontiac G3 through the G8, the Pontiac Grand Am to the Pontiac Solstice, our experienced auto mechanics stand ready to service and repair any Pontiac model. Give your Pontiac vehicle the quality care it deserves. For the best in automotive maintenance and repair, call Orinda Motors to schedule an appointment today!